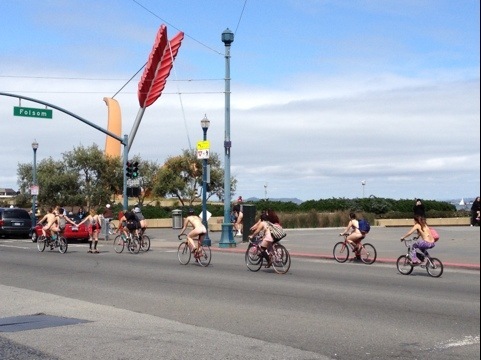 Was on my way to the Ferry Building and caught the tail end of The Naked Ride. I love San Francisco. I have a video too but I can’t post it here because this is BACKsides.